Sometimes things go wrong and you need to put your iPhone into Recovery Mode to restore it and get it working again. It turns out that Recovery Mode is what your iPhone goes into when you are doing a standard iOS upgrade or restore anyway, but you may want to put your iPhone into recovery mode for other reasons to troubleshoot a device or perhaps for jailbreak purposes. Whatever the reason, you can place any iOS device into recovery mode, which allows you to restore a bricked iPhone, iPad, or iPod touch with the help of iTunes. You’ll need a computer (Mac or Windows) and a USB cable to complete the Recovery Mode based restore process. You can either restore from a backup, or set up the device as new, that is your choice. Remember, Recovery Mode is different than DFU mode because DFU mode bypasses the bootloader which allows for things like downgrading firmware. You can not downgrade firmware with Recovery Mode, you can only upgrade or restore a device. When an iOS device is in Recovery Mode, it will display the image you see here, of the iTunes logo and a USB cable telling you to attach the device to iTunes. Your iPhone is now in recovery mode. 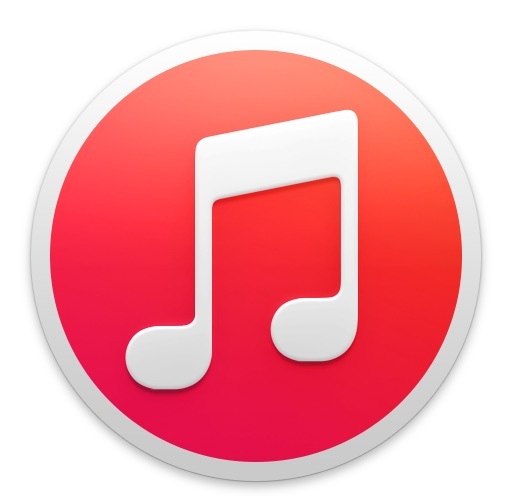 If you have not launched iTunes, you will see the familiar screen of the USB cable pointing at the iTunes logo signaling to connect the iPhone to iTunes to start recovery. Once you’re in recovery mode, you can either restore the iPhone, set it up as new, recover your backups and restore it to functionality again, or adjust the firmware as necessary (you can download iPhone firmware here if need be). After a successful completion of restoring or upgrading firmware, your iPhone, iPad, or iPod touch will automatically reboot and exit recovery mode on it’s own. If you are stuck in recovery mode (or DFU) and you do not want to do a restore or firmware upgrade, you can use a tool like TinyUmbrella or RecBoot to escape too. If you are still stuck that usually means you must re-install iOS firmware. Entering and exiting recovery mode is the same on all iOS devices regardless of the version of iOS software. Using recovery mode to restore a device is also the same regardless of using a Mac or Windows PC, and it’s the same with all versions of iTunes. Well, you might still have chances to recover the deleted iPhone photos. Not from iPhone or iTunes, just from your Mac machine. It just depends on when your deletion happens, before or after your most recent sync? If this happened after that, then probably you could rely on this data recovery program to get the lost photos back. Regards. May I know how we can reinstall firmware? Thanks my phone froze and would not switch off or update, even apple support didnt come up with this solution ?? Will my contacts be gone, or my new text messages? i ve got iphone 3gs try to put it in the recovery mode but not working, tried many times. there is no software can help to put iphone on the recovery mode. wonderful! i almost had a heart attack when it wouldnt start…thank you!! thx…. this has restored my 3GS completly. I was finally able to update to ios5. my old macbook that my wife has been using to sync is still running osx 10.4… is there a version recboot or something else that will still run on 10.4? I too tried the recovery steps and its not working. Still has the pic of the USB cord w/arrow pointing up to itune logo. And also says when connected to the computer that it is in recovery mode! Freaking out and completely frustrated?!?!?!?! Have a 4S that is not working. I want to clear all the data and reset to original settings. It tells me to connect to the cloud but I can’t since the phone is inoperative. How do I erase all content and settings? thanks very much for this, helped me out. The phone was not recognized by itunes so I did not know how to restore it. this fixed the issue , thanks.! I had made my iPhone 3GS blank and almost useless. Your solutions indeed worked for me. Have you tried to use Data Recovery for iTunes, You can use it to scan the lost data and choose what you want to recover. It can recover photos, videos, SMS and other multimedia files from both Mac hard drive and other iOS devices with high quality, its free to try. Whew! Thank you for your help! I have a real trouble. I forgot the lock code number on my iPhone 5 and I do not have my notebook with my paired iTunes availiable because I am abroad. The only computer with iTunes is the friend’s one. But when I connect to his iTunes, it says that there is a lock code and it won’t connect. Does any one know how to solve this? I read that the only way is to put it into recovery mode. But when I do, will the iPhone be able to connect to the friend’s iTunes? Thank you for any recommendations. Ive been doing the recovery mode and it seems that everything is going well then it just exits from itunes, my phone goes back to the screen that says passcode disabled, connect to Itunes, I have done this about 5 times and really frustrated, need to restore but it wont let me?? Had the same problem. It turned out my phone had been water damaged. The phone worked fine for the first 24 hours after the water damage occurred then went into the slide for emergency mode. Your phone repairer can pop off the cover and check this for you for free in front of you. There are dots under the cover which change colour if they come into contact with water. Hi, My husbands iphone 4 is stuck on the USB Itunes screen, I think thats the recovery mode. I have tried what has been suggested above and not working. Itunes is no longer recognising his iphone. He was in the process of updating it. ive followed the steps but instead of that yellow triangle i got a msg saying :the iphone software update server could not be contacted…. Hi, I have an old iphone 3 that was connected and ‘registered’ on my imac, have done that about a year ago. I now have an iphone 4s and tonight when I connected my phone (I dont know if I presses something or what), but it is if the data on my iphone 4s has been completely replaced by all the old data that was on my iphone 3, even the old system, all the pictures and messages has been lost, what have I done wrong, how do I retrieve the data? Hello, I have jailbroken iPhone 4 and i have tried to update iOS 6 over my iPhone but I didn’t managed. Blinking apple logo showed up and I tried to enter recovery mode. The message appeared on iTunes and wanted me to put my old iOS back but it also warned my that all my data will be erased. Then i clicked on no and when i wanted to connect iPhone to iTunes again it couldn’t recognize the iPhone. What should I do now? How can I bring it back? Please help me, it’s urgent! Hi, The above procedure didnt work for me. The below worked. 1, Turn off the phone with the top button only. Follow 2, 4 & 5. Thanks. Both instructions worked for me. Originally I had gone ahead and connected the phone live and requesting the iTunes connection. When I followed your, phone off, then home key and power button pressed on USB connection, it worked. I have an iPhone 5S which I can’t remember my screen lock numbers so we were doing the bypass which went fine but when it goes to restore just before its finished it says there is an error .any ideas ? ?